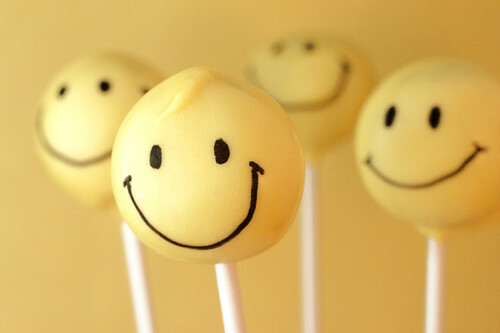 Want to make your own smiley face cake pops? Once dry, draw faces with an edible ink pen and allow ink to dry! Note: I think cake pops are a little more difficult to make than the cupcake pops because of trying to get the candy coating smooth. 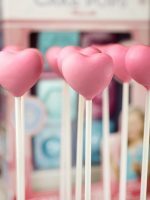 So, If you haven’t made them before, check out this post for red velvet cake balls and this one for cupcake pops. Next Post It’s a Back-To-School Giveaway! too cute! My kids will love it when I try this one out! Oh, these are SUPER cute! I can’t wait to make them. You rock! OMG These are so awesome. I need to do this for my kids one day. I like the one with the big teeth the best! Question: have you ever used homemade icing in place of canned frosting? do you think it’d do alright? 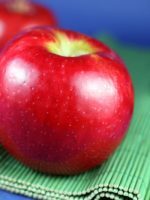 Thanks for sharing..I am going to try these for a back to school treat! If you need to sign up on their mailing list to see it, sign up and then search for ‘mini caramel apples.’ They are so cute! WAY TOO CUTE!!! I love them! My favorite is the half-eaten one with the shocked look on his face. Macabre, but adorable! i love them! these cake balls are cute! Those are so cute! You are very talented!! Aww, how sweet those are! I know my little ones would love to have such a treat like these waiting for them after coming home from school. Where do you get these pens?? I can’t wait to try these too! Just great stuff here! Love’em! You’re the best. Billions of smiles and kisses for you. And, as you are one of my best influences, take a look on my blog, there is a little green fairy for you (from the bottom of my heart). Can you help me with two questions? 1) I can’t find the can of frosting here in Australia, so what recipe can I use instead? 2) I’m planning to sell cupcake pops at a school fete, so I want to know if they(with creamcheese) can keep at room temperature or even outdoors for a long time? 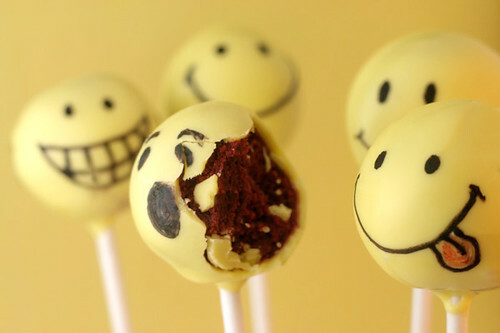 I was actually thinking of making the oreo truffles in to smiley faces for the start of school. i love it! !Yiu are so good at this!! 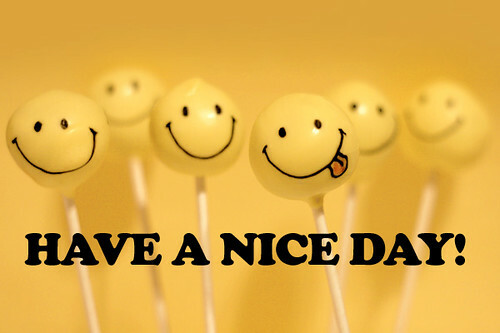 !=)have a nice day!! it’s very nice! great work! I sure I’m smiling! Too cute, specially the eaten one! These are fantastic. What a great monday post! The ones that “rock” would be great for Halloween! Girlfriend, you are my HERO! I LOVE these little buggers and your pictures really made me smile…or, grin evilly…. From someone who bites the ears off her kids chocolate Easter bunnies, these rock! Oh, these are so cute! I have to start making some of your recipes, they’re amazing! I love this! It reminds me of the calvin and hobbes where the snowmen crowd are gathered around a fallen snowman with looks of terror on their faces. 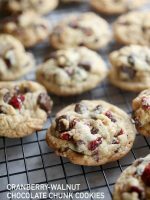 bakerella….you make my mouth water!!! You never cease to amaze me! LOL. Great idea! I just made pops last night and instead of frosting, I used cream cheese. It’s what I use for Oreo Balls and it’s delicous. They are pink with white non-perils. Your suggestion a while ago. Thanks! My daughter couldn’t stop giggling at the pictures! Have you ever used chocolate cake and chocolate frosting for these…just wondering if it was good. I think I might try it! I made the cupcake ones for a party once and they were a huge hit! I love your great ideas! Those are A.MA.ZING! So cute I almost feel bad for wanting to bite their little heads off! You draw so nicely with the edible writers, I wonder if the ones you use are as floppy-tipped as the Wilton ones? I’ve tried the Wilton ones and it feels like trying to paint with a brush that needs to be re-dipped in the paint. Any thoughts? Although I have a feeling that *you* could still make them look fantastic somehow…btw I bought ‘Hello, Cupcake’ for a friend’s birthday this weekend. Thanks for the recommendation. Put mine on my Christmas list…. These are extremely cute, I’ve gotta make them! These are so cute I just couldn’t resist leaving a comment. I’ve enjoyed reading your blog and seeing what fun baking things you’re up to! Thanks for always sharing such great ideas! OMG!!! YOU ROCK!!! I just saw your cute cupcakes that you did on Martha, and I bow down!!!! You are amazing!!! Love love love your blog!!! Really riding the cake pop wave. Do something new. I am in the process of making some of these tonight! I just have to draw the smiley faces on them. These are so cute– you are very very talented! omg you never cease to amaze. another stunning creation! so cute! Aw these are so cute! I have got to try these out sometime. They did put a huge smile on my face. thanks, it was a great way to start a work day. 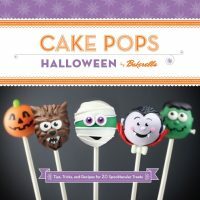 Another great idea from Bakerella! Thanks so much for the smiles! Those are darling!!! Thanks for sharing!!! 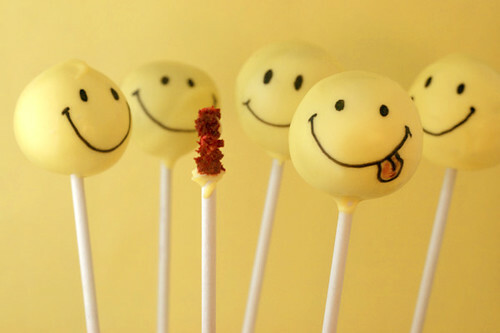 I love the one in the front with the little tuft – cool dude smiley face :). The sacrificial one could be a cousin to Mr. Bill. I could have so much fun with these. Just let the imagination run wild. What fun! Okay, maybe not for the one that was eaten. Too cute! I love how the one in the first pic looks like he’s got a curl in front. They remind me a little of Charlie Brown. You are super! these are so awesome! 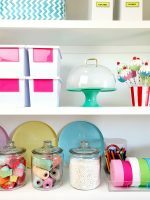 love your tasty treats and your blog! in love with the smiles!!!! thx! and, you inspired me to make my very first non-traditional cake. i made a unicorn cake for my #2 kiddo’s bday this week. it’s not perfect, but ii did it!!! Too funny! My kids got a kick out of that. Thanks for the laugh! Your stuff will never cease to amaze me! I am behind responding, but thanks for all the sweet comments. The smiley faces were fun. I couldn't keep myself from laughing as I drew the faces on, so I'm glad you all enjoyed them, too. Beat softened butter and cream cheese until well blended. Add sugar and vanilla until creamy. Easy! stella – It might help you to watch the martha stewart video if you haven't seen it already. Go to her site and search cupcake pops. morgana – I always love your comments. Thanks for keeping me smiling. jenny – are you able to find any canned ready-made frosting. You can use any flavor that goes with the cake you are making. You can also use homemade. I have used this one. And they are fine at room temp for several days, or outside as long as it's not hot. They can melt or fall off the sticks if they get too hot. 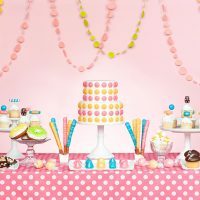 cakespy – What?! are you kidding. I'm thinking there are more surprises to you. jess and jen – I sure have and they are really good, too. josephine milkweed – I think the Americolor Gourmet Writing Pens are the best. I've tried Betty Crocker brand and they were just no where near as good. pookie b – YAAYYY! I'm so glad someone recognized it. I think you're the only one, though. danyele – that's awesome. It's fun to step out of the cake comfort zone, isn't it? I have tried making cakeballs quite a few times. They’re always delicious, but not so great to look at. lol. Do you add anything to your candy melts? I just can’t seem to get mine thin enough to dip no matter how long I melt it. Am I not melting it long enough? I just don’t want to scorch it. Any tips would be appreciated. Thanks! 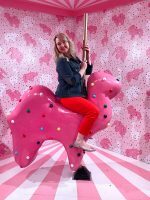 jenn – Are you doing the pops or the balls? What brand of candy melts are you using? 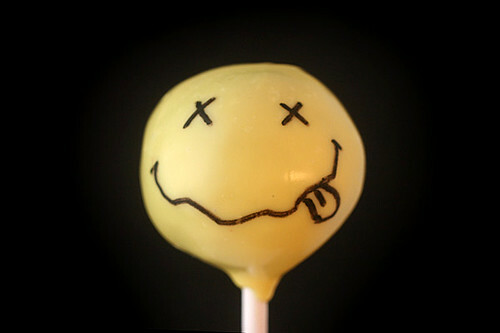 For the candy melts, I melt in the microwave in 30 sec intervals, stirring in between until melted. Then I dip the balls, one at a time in to the candy coating with a spoon. Cover the top of the ball if your bowl isn’t deep enough. Then lift out and tap off excess chocolate by tappin spoon against the side of the bowl. Then, let ball slide off spoon onto wax paper. If it’s still, too thick, you can add a drop of veg oil to the chocolate or use something called paramount crystals. Omg those are so cute! I love the bright cheery colors. 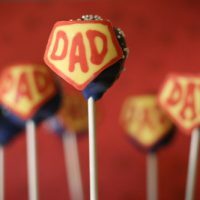 jenn – for the pops, I insert the stick first and then dip the entire ball in the candy coating very carefully. Make sure chocolate surrounds the stick at the base to help secure the ball. Then gently tap off excess while you twirl the cake pop. Also, I haven’t used Wilton melts, but a lot of others have and I am thinking they might be a little more difficult to work with. I need to try them out and see. Oooh, those cake balls! I’ve made 3 batches already! Love the smileys! b|e creative stationery – Yesss! Sarah – they are addictive! Those did have me smiling, I love them! 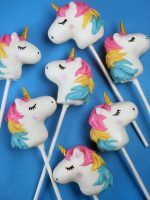 I made these the other day and although they tasted amazing I had a bit of trouble with the candy melts melting thin enough to dip the pops into and achieve that smooth surface you get. Any tips? They were a big hit anyway bit! Chinouk – It’s hard for me too. Pat – I swirl, and tap the extra off. And when I do, it smooths out the chocolate. You can also add a few paramount crystals to thin it out some. Or a drop or two of oil. I made chocolate cake ball pops w/blue white chocolate and blue sugar sprinkles for my son’s birthday at school and these were a big HIT! Kids couldn’t figure out how cake got inside :-) Thanks so much! Anonymous – that’s cute. Wish I could have seen their expressions. I’m in love with your cake pops! These I’ve gotta try! My son loved these. When he showed them to his grandma he kept making all the smily faces. They are so cute! He can’t wait till we make them. Thanks! adora – I love to hear things like that. Glad your son liked them. Gotta try again with drops of veg oil in the melt. I’m so glad you and your family enjoyed them. I made these with three kids 9,7,4. It was super easy and they had a blast from start to finish. I did discover that using a double broiler made the dipping easier. The final product ended up being smoother. I LOVE your ideas. Thanks for sharing. I will be making these in the next 5minutes… Hope they turn out as cute as yours. chats – that makes me smile. Laura – I hope they do, too. I think lots of people are making these because when I clicked the link for the markers, yellow candy coating showed up as “customers also bought this”!! That’s funny. Thanks for the heads up. how long can you store these and how? They can last up to a week. Just store them in an airtight container on the counter. Great idea for gifts and nice bouquet tutorial. I love these! They are so incredibly adorable and I can’t wait to try them! 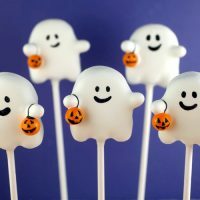 How do you get the Cake Pops so round? I’m trying to get them to look “pretty”..but no such luck. they taste delicious though!! You need your chocolate to be on the liquid side. Not too thick. Then, dip them in the coating in one dunk. Lift back out and then turn and tap until the entire ball is covered and the excess falls off. Hope that helps.